Musculoskeletal disorders are one of the main causes of employee absence in the workplace. Managing the risk of work-related musculoskeletal disorders can reduce or prevent illnesses that range from mild, transitory disorders to irreversible injuries that result in long-term or permanent disabilities. The risk of developing workplace musculoskeletal disorders is high, especially in certain occupations. Health statistics show that one-third of all health-related absences from work are due to musculoskeletal disorders, so understanding and managing those risks are essential for employers and employees. The term, musculoskeletal disorders, relates to health problems that affect the body’s motions performed by skeletal cartilage, muscles, tendons, ligaments, and nerves. The severity of these disorders can vary from mild aches and pains to more serious illnesses or diseases that cause severe pain and permanent disability. Musculoskeletal disorders are common in the workplace and account for thousands of employee absences and workers’ compensation claims every year. Musculoskeletal disorders can also result from on-the-job accidents. 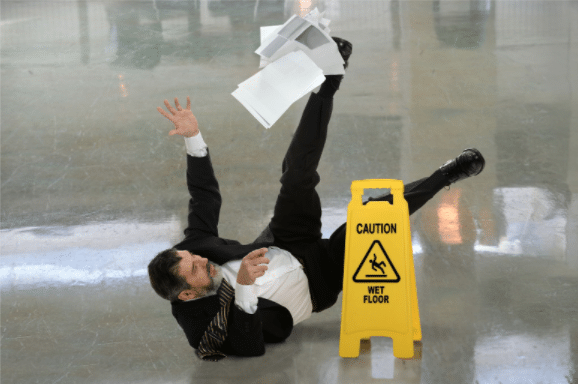 Workplace falls, the leading cause of injury for workers, often result in sprains, fractures, broken bones, and back, neck, and head trauma. In cases where injuries are severe or don’t heal properly, musculoskeletal disorders that lead to chronic pain and loss of motion may develop over time. When evaluating the risk of workplace musculoskeletal disorders, the duration of exposure is an important factor. It’s mainly determined by the number of repetitions per day, as well as by the total exposure time (hours per day or days per month). Short-term exposure to work activities may result in mild aches and pains, while long-term exposure may result in more serious, long-term or permanent injuries and disabilities. To prevent musculoskeletal disorders, it’s important to create a balance between activity and rest. For proper recovery from load-induced or repetitive task injuries, rest is essential to promote repair and prevent fatigue. The ideal balance comes with active periods followed by periods of rest and relaxation. For proper prevention, overload, as well as inactivity should be avoided. Employers should note that employees have different body types that react to musculoskeletal injuries in different ways. As an example, hiring a worker with a strong, muscular build for heavy lifting jobs does not prevent that worker from developing musculoskeletal disorders. Although repetitive lifting of heavy loads does increase muscle capacity, it does not increase the capacity of the body’s spinal discs to withstand injury from heavy lifting, especially over a long duration. Injuries from heavy lifting are often caused by poor posture, lifting with the back instead of the knees, and awkward twisting and turning while lifting. Any worker can sustain injuries and develop musculoskeletal disorders without proper prevention methods. Studies show that workplace ergonomics can significantly reduce the risk of musculoskeletal disorders caused by three primary risk factors: awkward posture, high force, and exposure time (either long duration or high repetition). Exposure to a combination or all of these risk factors greatly increases a worker’s chances of developing musculoskeletal disorders accompanied by mild discomfort or chronic pain. The threshold for each risk factor varies by body part. Large joints like shoulders and knees have a higher risk tolerance than smaller joints such as hands, wrists, fingers, and feet. Many risk assessment tools measure exposure for a single body joint, and some whole-body assessment tools combine all exposures into a single risk score that reflects exposure for the entire body. By combining exposures of different body parts with the duration of a task, risk management tools create a score that reflects a worker’s overall risk for developing musculoskeletal disorders. Workplace safety management systems focus on reducing the risk of occupational injuries, illnesses, and fatalities, as well as workers’ compensation claims. Their goal is to improve workplace ergonomics and reduce the risk of musculoskeletal disorders for workers. Employer and employee participation is essential in workplace ergonomics systems to ensure that workplace changes are updated and maintained on a regular basis.